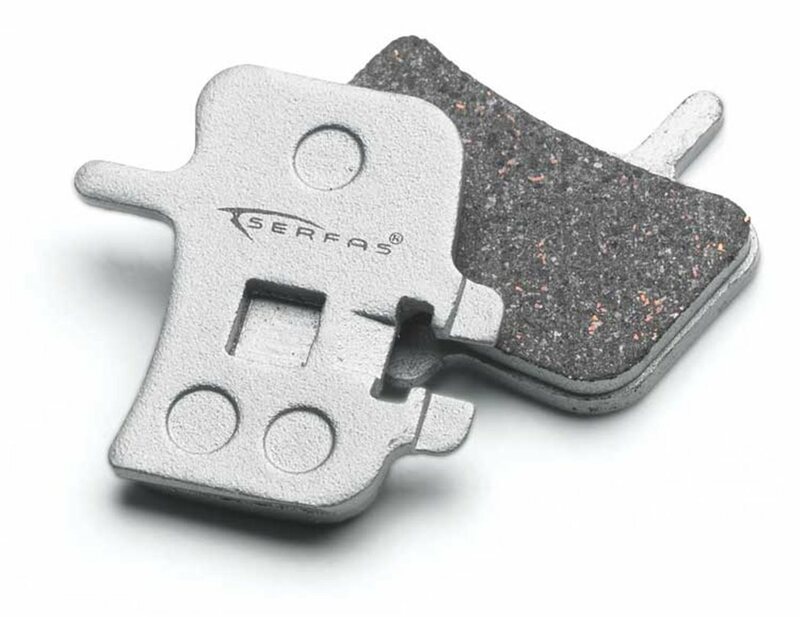 Serfas disc brake pads are strong and high quality pads that include applicable hardware for easy installation. Using this with Hayes HFX-9 brakes and didn't have any issues slotting them into the calipers. They're cheap, metallic and work, what else needs to be said. Running them on a 26" hard tail trail bike, stopping power is sufficient when paired with a 180mm front rotor. Seems good. My stock Hayes pads didn't seem worn, but they wouldn't lock the rear (2.5" tire and only 6" rotor could be something to do with that) even after brake bleeding, cleaning pads/disc w alcohol, swapping front to back and left to right etc etc. So, I tried a set of these cheap pads and they immediately increased the performance. Whether they'll maintain it, I don't yet know. For the price, worth a shot. Will update if there are any probs. These will be a 5* for performance/value - if they last, don't know that yet so 4* for now.